As the date of the US-DPRK summit approaches, growing attention is being drawn to the event and less to the more subtle contacts between China and North Korea, with some media pundits suggesting that Beijing is gradually being pushed out of the denuclearization process on the peninsula. In contrast to Washington and Seoul, Beijing keeps a low profile in its diplomacy with the DPRK. For example, the meeting between North Korean and Chinese leaders in March was carried out in secrecy and was only revealed post-factum. Chinese Foreign Minister Wang Yi's visit to Pyongyang was revealed only a couple of days prior to his trip. Konstantin Asmolov from the Institute of Far Eastern Studies in Moscow notes that while Western media pay a lot of attention to the upcoming US-DPRK summit, they pay little regard to the China- North Korea contacts. At the same time, Asmolov points out that the meeting of Kim Jong-un and Xi Jinping in Beijing was the North Korean leader's first foreign contact. The scholar is confident that Kim Jong-un invited his Chinese counterpart to Pyongyang during the meeting and that preparations are already underway. According to Asmolov, China is intensifying its contacts with the DPRK, which is reflective of its growing involvement in the matter of denuclearization. "Just recently Song Tao [head of the department of foreign cooperation of the Chinese Communist Party], who is responsible for interparty cooperation, has visited Pyongyang. Now it's Wang Yi. That's high level of contact [between the countries]," the scholar said. Lui Chao, head of a research center studying the two Koreas at the Liaoning Academy of Social Sciences, said that comments about the US-DPRK summit pushing China out of denuclearization process on the peninsula is pure nonsense. "Saying that China is becoming 'marginalized' is not consistent with reality […] China has been fighting against the development of nuclear weapons in the DPRK along with the international community. While the US and a group of Western countries have used this problem as an excuse for crushing this country with sanctions, Russia and China have opposed it," the scholar said. 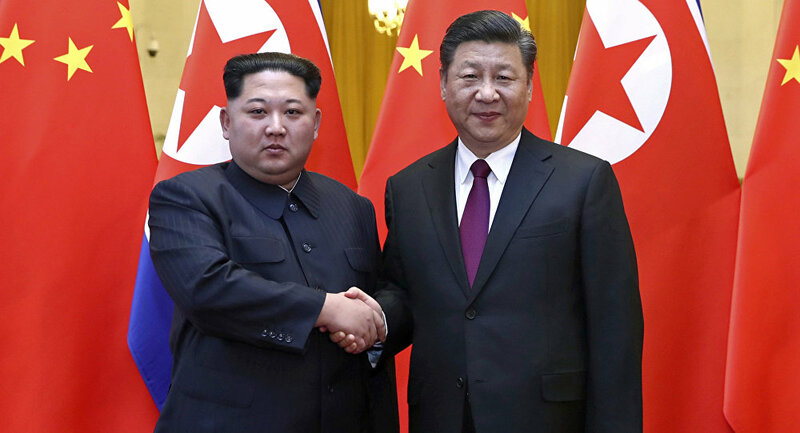 Lui Chao points out multiple facts in support of the idea that China has not been "pushed" to the margins of the Korean denuclearization process, as indicated by recent contacts between Kim Jong-un and Xi Jinping, the recent visit of Wang Yi to Pyongyang and even the intra-Korean and upcoming US-DPRK summits, which correspond with Beijing's political desires.